The interior of the donut-shaped Experimental Advanced Superconducting Tokamak (EAST). Hydrogen plasma is confined in this chamber by strong magnetic fields, where it fuses into heavier nuclei. For that reason, work is proceeding apace on the next generation of fusion reactors. Researchers at the Experimental Advanced Superconducting Tokamak (EAST) in Hefei, China, achieved a significant improvement in its confinement time and the density of the plasma it held. This step is necessary to maintain the appropriate conditions for fusion as well as to reduce the damage the hot plasma causes to the reactor walls. As described by J. Li and colleagues, the latest run at EAST achieved a plasma pulse lasting over 30 seconds, a record achievement that simultaneously demonstrated improvements in heat dispersal. Nuclear fusion requires overcoming the electric repulsion between positively charged nuclei until the strong nuclear force exerts itself. In practice, that requires very high temperatures, which ensure that the nuclei are moving fast enough to collide rather than repel each other. While fusion is relatively easy on a small scale, researchers have yet to produce a reliable chain reaction that safely yields more energy than is required to sustain it. Ultimately the problem is one of plasma confinement: holding the nuclei within a limited space at sufficiently high temperature. (Plasma is a gas consisting of free electrons and nuclei; at cooler temperatures, these particles recombine to make neutral atoms, another reason to keep things hot.) Hot gas expands rapidly, so energy is required to force the plasma back together. Fusion requires temperatures greater than 15 million degrees Celsius; many reactors top 100 million degrees. That's hot enough to melt anything solid, so confinement requires something other than a wall. Stars have a natural plasma confinement system in the form of gravity: their large mass ensures high pressure and temperature in the core. But that's obviously impractical for Earth-bound scientists. Magnetic confinement is one possible solution, and the one used by the donut-shaped reactors known as tokamaks. (Other types of reactors and confinement exist as well.) Electrically charged particles like deuterium nuclei can be steered by magnetic fields, so sufficiently strong fields can both heat and contain plasma. As its name suggests, EAST utilizes superconducting magnets to increase the force it can exert, a method also practiced to contain the protons that circulate at the Large Hadron Collider (LHC). When plasma is magnetically confined and heated beyond a certain limit, it transitions to a high-confinement mode, or H-mode. In this mode, the plasma itself spontaneously generates an "edge" that partly prevents particles from escaping, and it throttles turbulence in the hot material. This more than doubles the time plasma can be confined. The present study achieved more than 30 seconds of a sustained H-mode pulse, an improvement of 10 to 20 times beyond anything achieved at other reactors. Thirty seconds may not sound like much until you realize this is plasma at more than 100 million degrees, more than five times the core temperature of the Sun. Additionally, the authors described enhancements to the walls of the EAST reactor. When energetic particles collide with the atoms in the reactor chamber, they can create unwanted byproducts, which in turn may interfere with the operation of the equipment. For that reason, the improvements to EAST were designed to dissipate the heat efficiently and to remove the helium "ash" produced by the fusion reactions. Nevertheless, these results are necessary but incremental steps toward reliable nuclear fusion power. 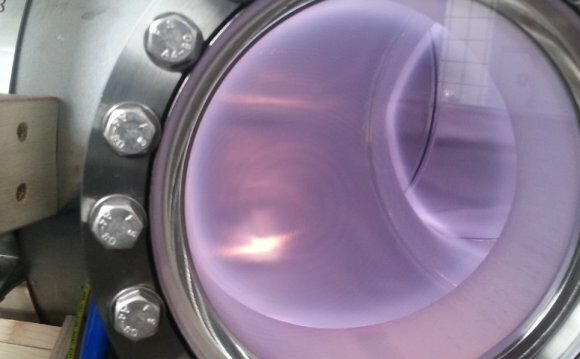 A tenfold increase in plasma confinement time is a significant accomplishment, and it came with an improvement in heat dissipation. The slow state of progress may or may not yield ultimate results, but the promise of clean abundant power could be a bit closer to reality.